First Time Voters at Comelec Registration | To Be, To Be. Tutubi. When my sister turned 17 last February, I already told her to register for the 2010 elections because she can already vote by then. Of course, she said yes and despite my insistence that she do it sooner than later, she had so many excuses and only did went to Comelec last Saturday, exactly a week before the deadline. She was there after lunch and the queue was too long, they were asked to write their names on a list and to return today, Tuesday. I expected this scenario already and can only shake my head at my sister and her classmate's procrastination. Typical Filipino trait, wouldn't you agree? It will really test your patience to register now, I tell you. I remember that I didn't have the same problem then. My then future mother-in-law told me and her son to register right away when we became eligible to vote. There was a satellite voters registration in our barangay and we did it quite painlessly. He was just my boyfriend then, but his mother thinks its serious and I will become a resident there anyway, so I registered at their place. Such foresight from my mother-in law. Ha ha. Oh well, as for the other first time voters out there, just bear with the Comelec. It is really not their fault that the registrants are all rushing now to beat the deadline! well, what do you expect? filipinos are really like that. mahilig tayong humirit sa huli. 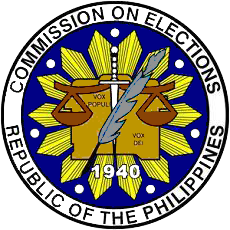 hindi ko rin matandaan, pero ang alam ko eh hindi naman ako nahirapang mag register sa comelec dati.